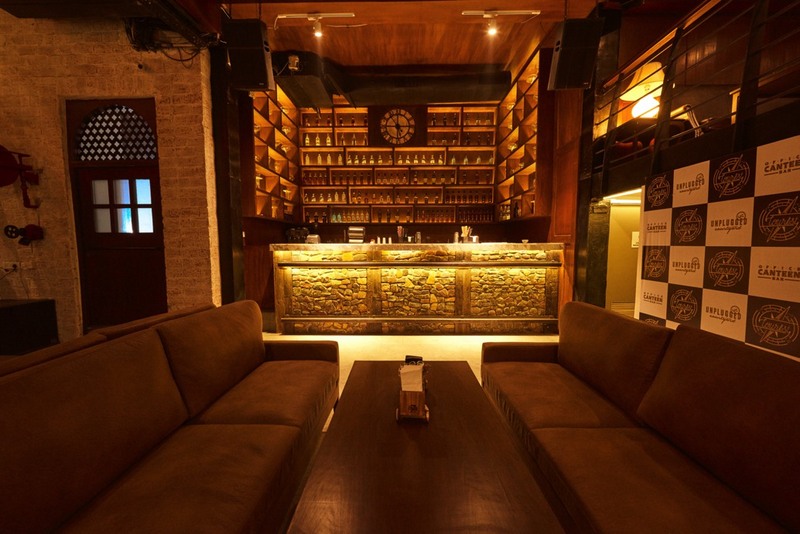 There is also a bar along with big couches and a DJ console at the right side when you enter the restaurant. The music being so lively & I am sure you would love the entire tourist feel here- the cycling image, geometric maps, youth hostel, airport flipboard showcasing signature dishes. The menu is planned uniquely with each item showing the region it represents. 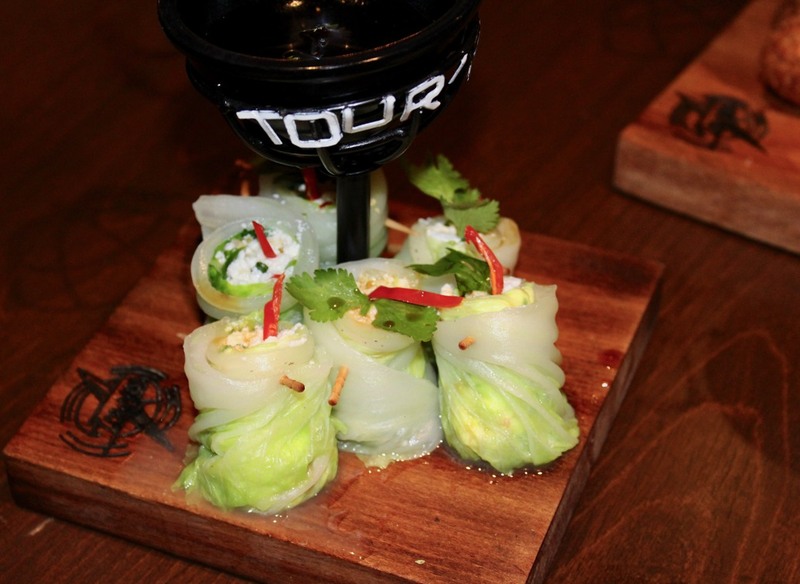 To talk about the food, the great food & the lovely flavours were a cherry on the cake, exploring different dimensions. You will feel like you have entered a zone where you can explore & discover your love for food, drinks, good music and great ambience. Dinesh Arora & Swaraj Singhi always have their mind upto something good which turns out better than the rest and whatever they plan & make they put all their heart & efforts so that the end result is something great and which they can be proud of. This shows their passion for good food & life, uniquely focused and sharp at wits. We started with a few mocktails. 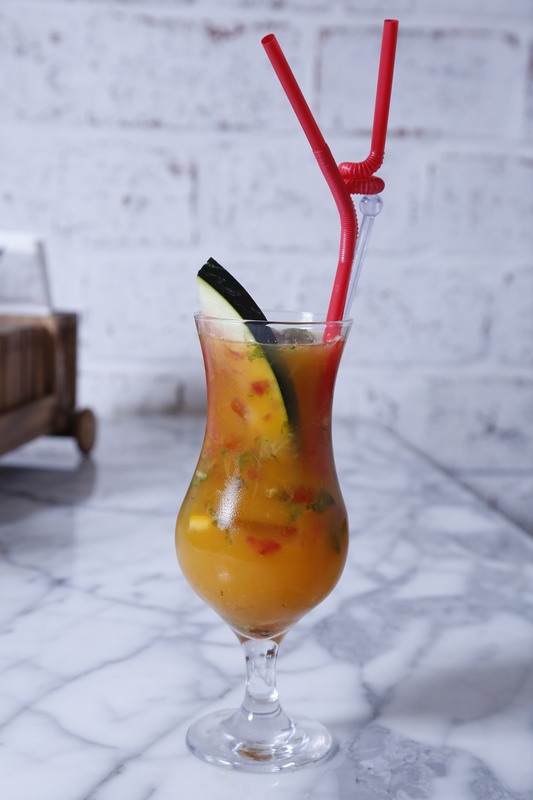 Cool Sensation had all the goodness of watermelon, orange, mint & lemon masala in a glass which was very masaledaar & spicy. 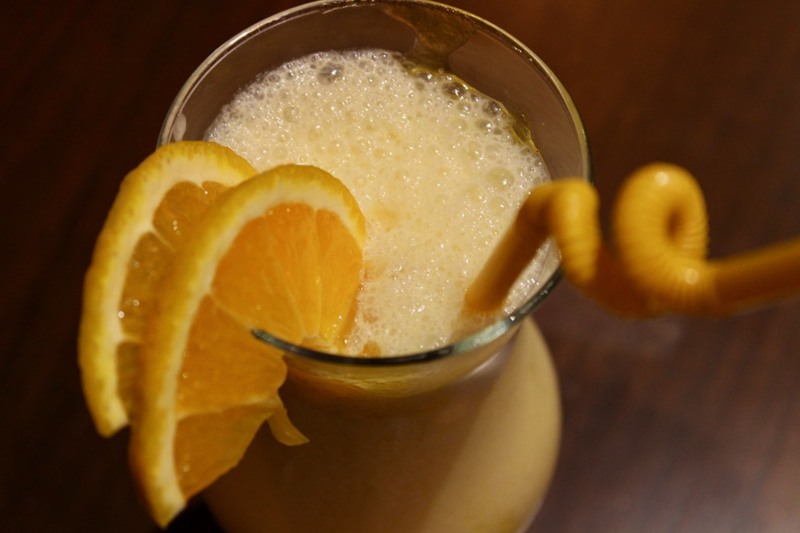 A really zesty drink! Mandarin & Basil Splash had mandarin, basil leaves, some tourist spices & orange juice. Though a little sour, but tasted good. 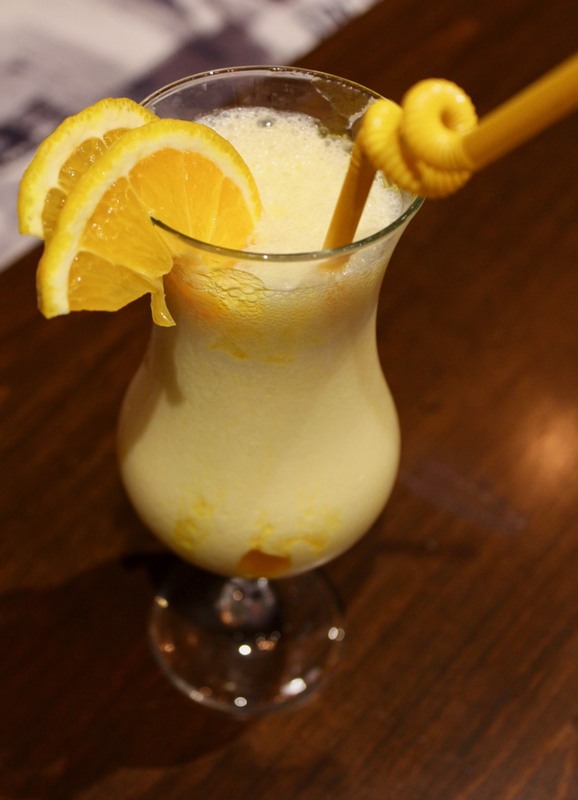 The Orange & Mango Smoothie was very sweet and tasted somewhat like sweet mango lassi. 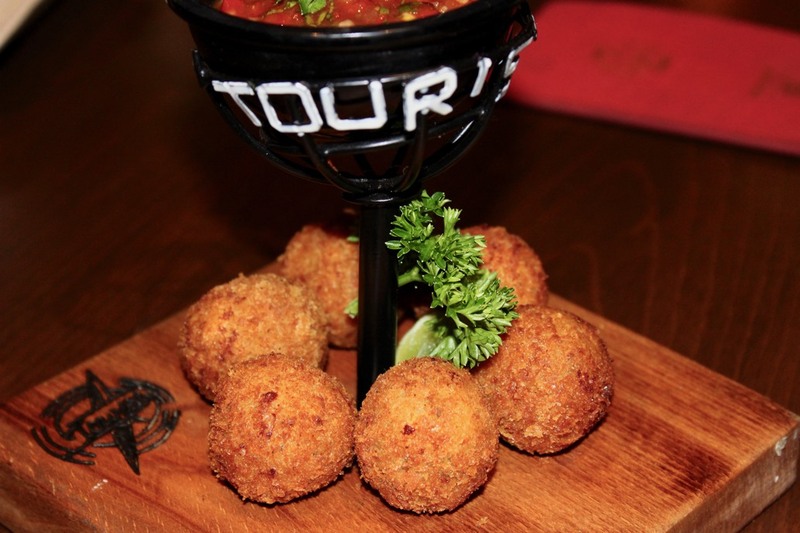 Coming to the food, we first tried Arancini (from Italy)- some delicious hand rolled risotto dumplings, crispy fried with melting hot cheese lava inside. They were tasty and delicious with the warmth of Italian flavours! 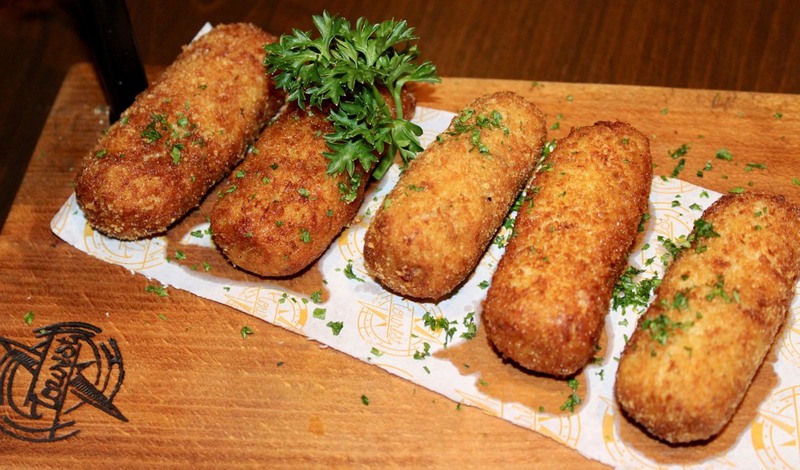 The Croquetas De Pollo (a delicacy from Spain)- hand rolled crispy chicken & cheese nuggets were cheesy & soft. A very nice mushy combination of soft cheese & juicy chicken churned together in a delicious recipe. 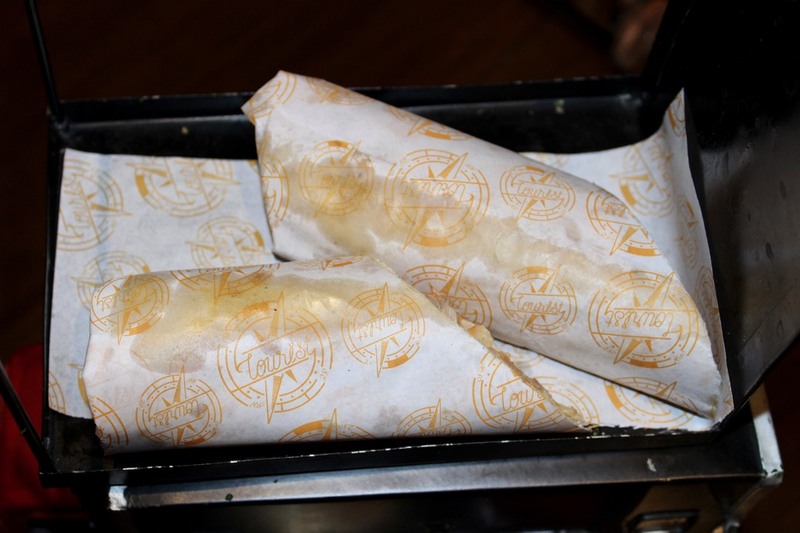 Next was Shawarma (a delicacy from Turkey) with the Arabic flavours of spit roasted chicken with garlic tahini & soft khubus wrap. 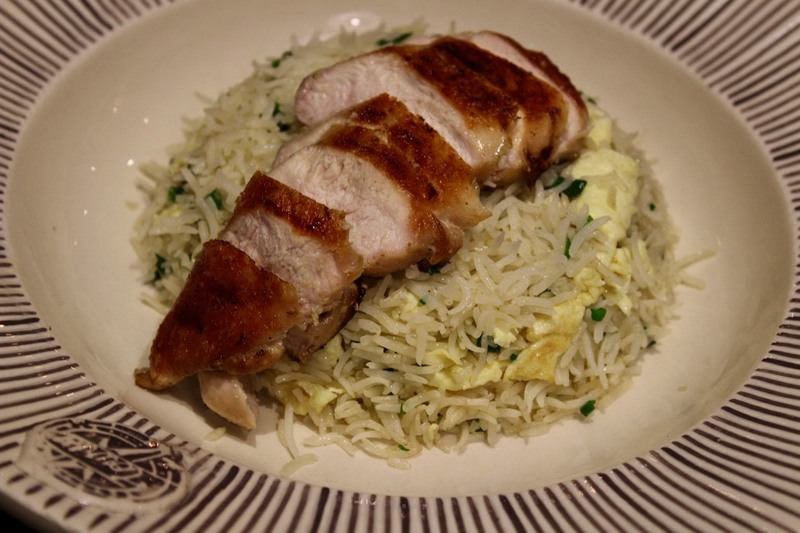 Mildly spiced, crispy and flavourful blend with juicy soft chicken inside! 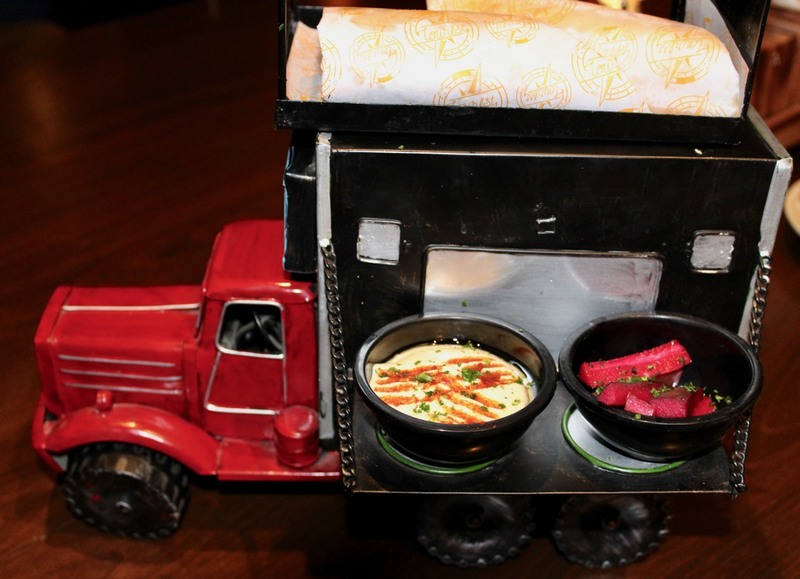 It was cutely served in a mini truck. Loved it! 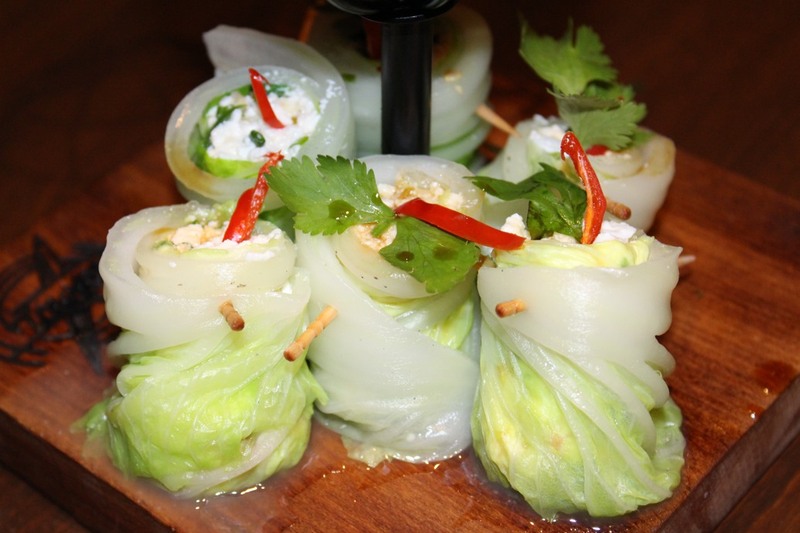 The Cottage Cheese, iceberg wraps (flavours of China)- wok tossed chilly cottage cheese in their signature sauce was juicy, soft and crisp on the outside with soft mushy cottage cheese inside. They were fresh, low calorie (not fried at all) & cool and refreshing like a salad. 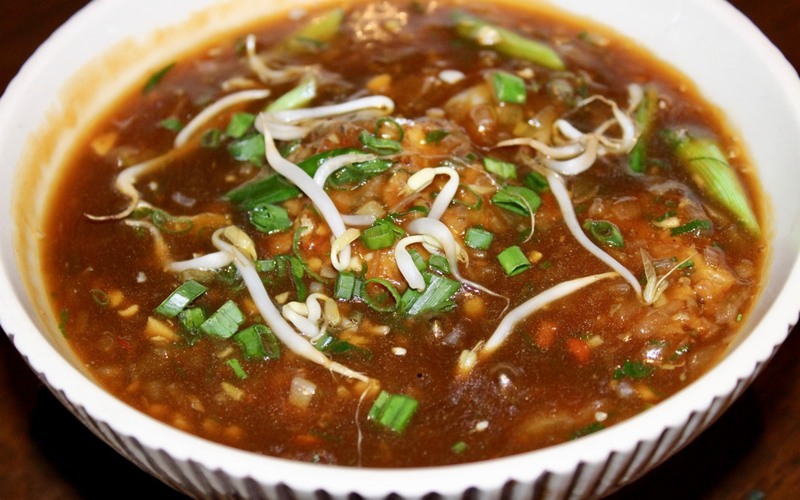 The China Town Manchurian was a pure vegetarian delight. There is a twist here as the Manchurian balls were flat, big and the taste differed a bit from what we usually have. 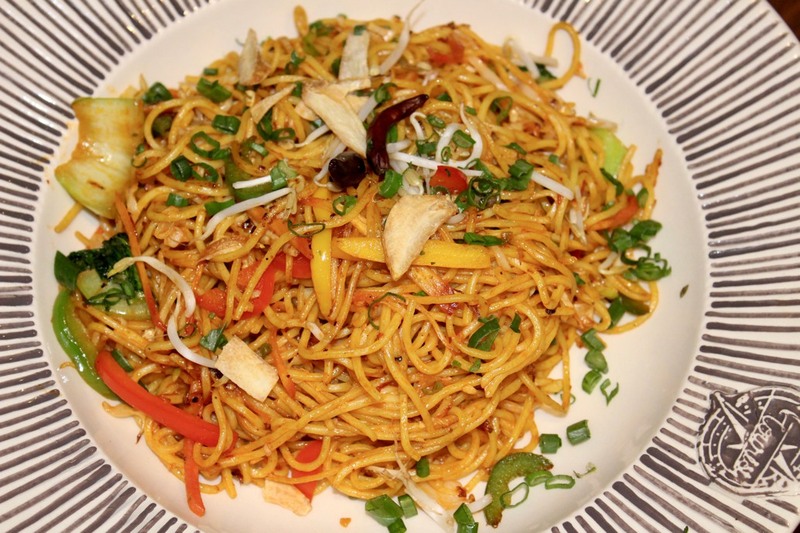 I paired it with burnt Red Chilli Noodles- Chilly garlic tossed noodles with peppers & scallions which were were spicy, colourful & tasted different. A different twist given here as well to the regular noodles plus a new unique way of presentation too! Chicken Rice– the unofficial national dish of Singapore with sliced chicken on a bed of stock rice, chilli paste & ginger had pieces of juicy chicken in steamed rice with tasty egg chunks. Nice, warm and fragrant! It was good & a wholesome fulfilling treat for the non-vegetarians. 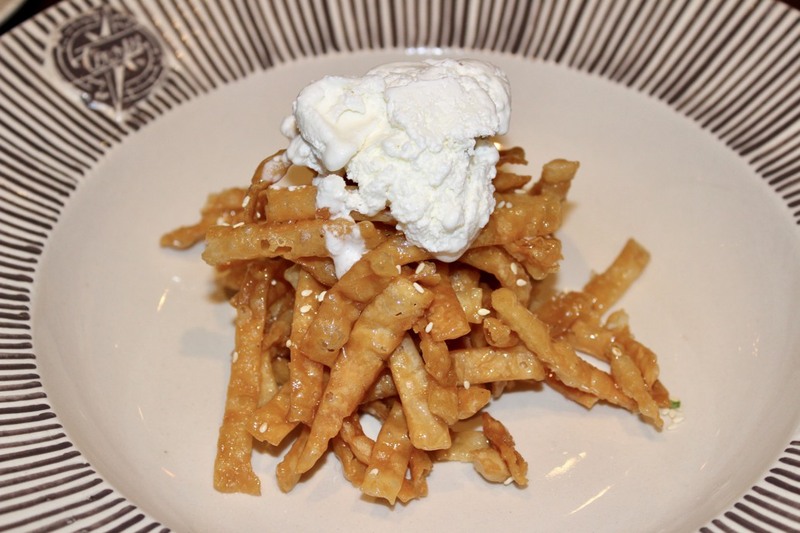 For the desserts, we first tried Darsaan– honey tossed wonton noodles with frozen vanilla dollop. Sweet, nice and crispy is how I would describe it. I loved the sweetness along with crispiness of the wonton fried noodles with ofcourse the vanilla goodness. The Boston Cream Waffles was loaded with cream custard & frosted with chocolate & fruits. 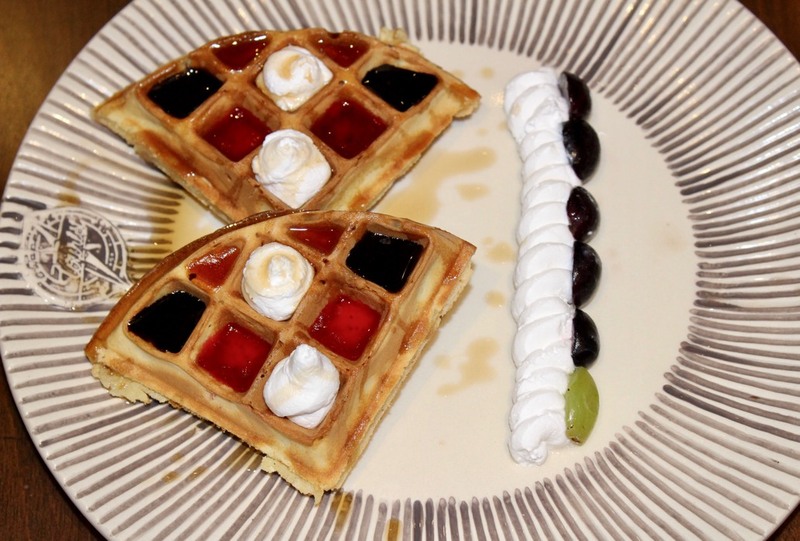 If you are fond of waffles then this is definitely the must try dessert here! 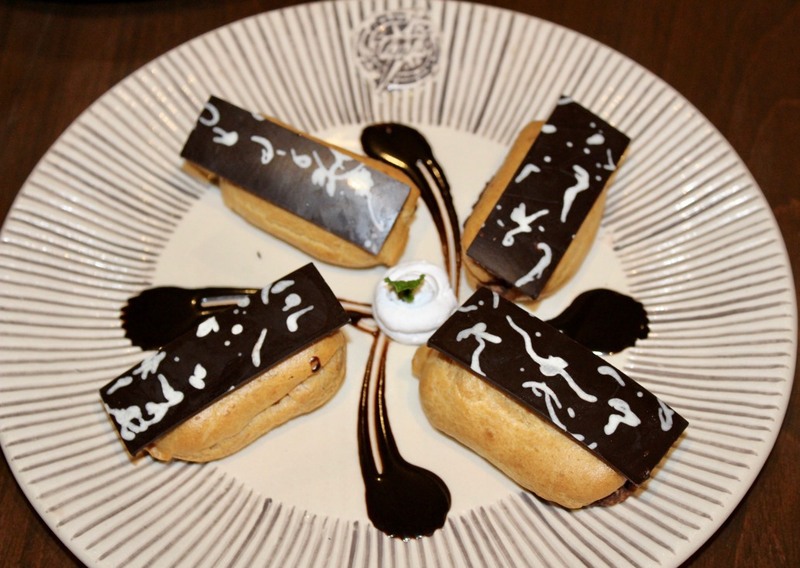 Lastly was Death by Eclairs– Hazelnut praline mousse, bitter chocolate glaze & berry compote. Made of dark chocolate and berry compote, it was delicious and a lovely sinful end to the whole meal. 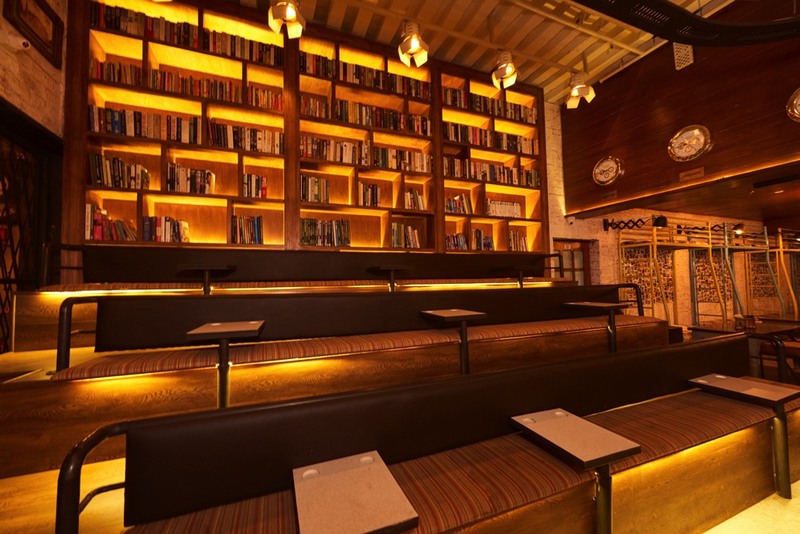 Inspired by tourists, the place is awesome and you would love the dishes from various parts of the world wanting to try everything, the new or old or the ones with a twist, experimenting and relaxing on the comfortable couches with hookah maybe & the food which raises the bar of food standards, the inventions and experimentations with the drinks. 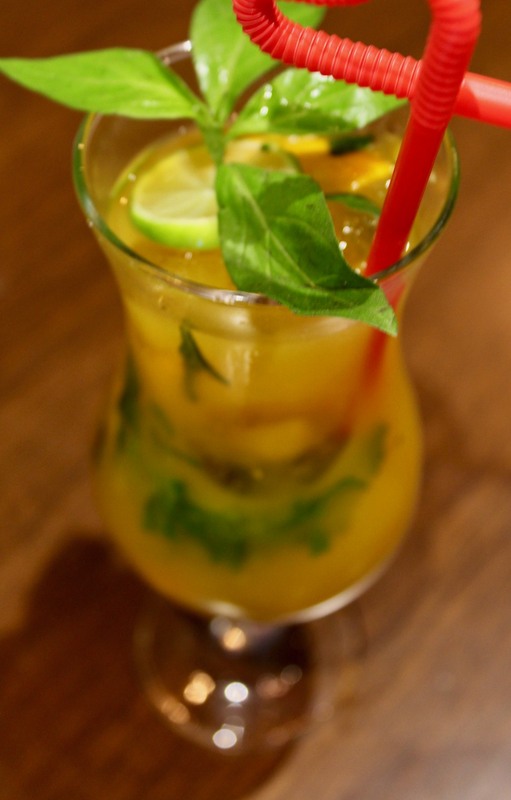 This exotic food destination is new, upmarket, never found and yes nor can be repeated. So three cheers for Dinesh Arora & Swaraj Singhi, they always live up to our expectations & standards of quality & adhering to the people who live to eat. 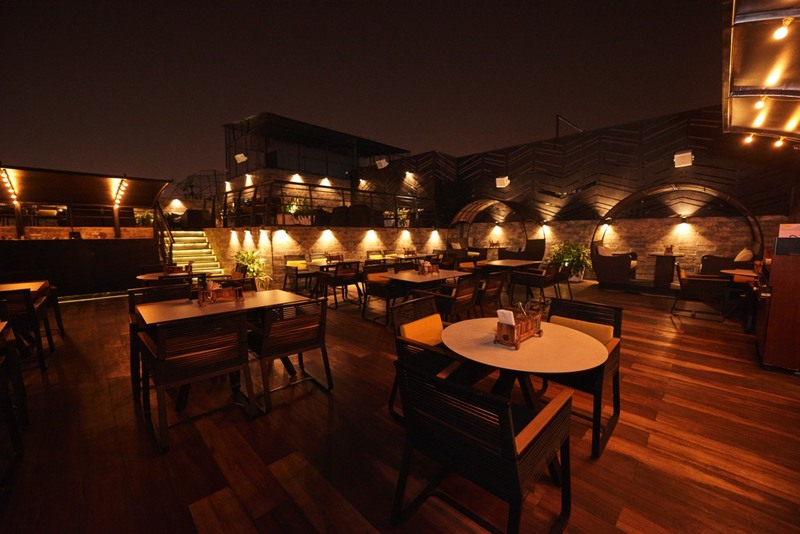 The Delhi Canteen: A foodie’s paradise! !